Today we learned about Rosh Hashanah in our classroom! 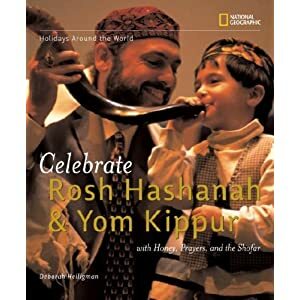 We started by reading a great book - Celebrate Rosh Hashanah and Yom Kippur. It's a National Geographic book, so it has beautiful pictures and the text was perfect for my class! I love celebrating multicultural holidays with my students! What a great idea! I love getting new ideas for multicultural lessons! I will have to check out that book-and I'm sure the kids just love the apples and honey snack!